If you want to know why St Thomas Ontario, aka "Railroad capital of Canada", is my favourite place to live, then read on! The town was first settled around 1810 and soon grew and was designated as a city in 1881, and now has a population of around 37,000 people. I think this city is just the right size - big enough to have plenty of community activities and municipal facilities, yet small enough that people are neighbourly and friendly. Located south of the city of London, Ontario, and north of the village of Port Stanley on Lake Erie's north shore, St Thomas is in a great location for residents, vacationing families and tourists. There is a hospital, a municipal Airport, lots of good schools, both Elementary and High Schools, a large new Skating Arena, a shopping centre and many restaurants and shops. St Thomas is also the County Seat of the County of Elgin which is and are known for it's agriculture - beef and dairy farms are here, as well as arable farming for corn (maize), soy beans, tobacco, as well as fruits and vegetables of all kinds. Local business, Briwood Farm Market, is a supplier of fresh local produce, including meats, dairy products, fruits and vegetables. Do you want to know what climate is like here in St Thomas, Ontario? Check out our Weather pages and see what the weather is like here. This area enjoys long, hot summers and crisp cold winters, we also have the most breath-taking Autumn colours during September and October. If you have never experienced a Canadian Fall, it is something that you should see - this area has millions of Maple trees and they are magnificent when the colours change in the Autumn. This town was named for Sir Thomas Talbot who helped promote the settlement and development of this area in the 19th century. He built a grist mill and went into business and named the town after himself! 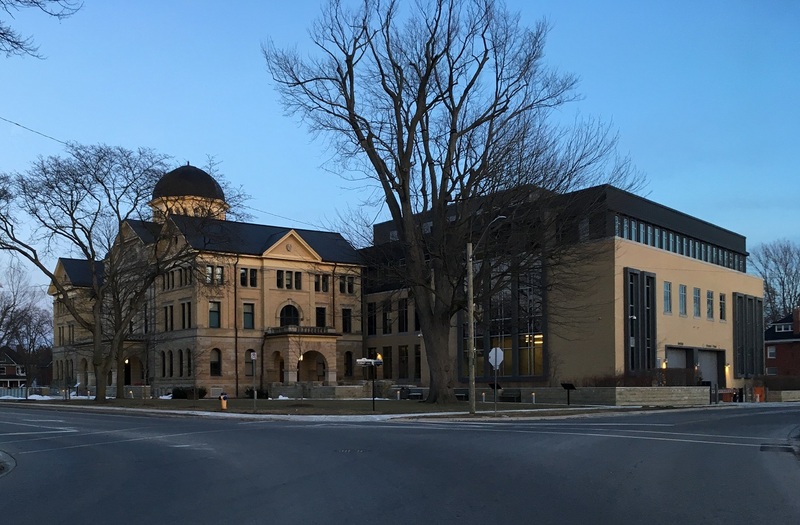 St Thomas Ontario has some magnificent Victorian architecture - take a look at the Elgin County Courthouse (above) on Wellington Street, with it's now addition, and City Hall on Talbot Street. In the Courthouse area there are other fine examples of Victorian homes which were built in the late 19th and early 20th century. Take a drive around the area of Rosebery Place, Gladstone Street, Wellington Street - these turn-of-the-century homes remind me of the affluent days of the Victorian era. A little farther to the east along Wellington Street, you will see the site of Alma College, which sadly, was burnt down in May 2008. 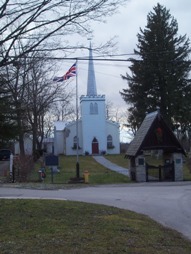 The Old English Church in St Thomas Ontario is on Walnut Street, is the oldest Church in the area and is surrounded by the graveyard, it sits in the older section of town, undisturbed by the modernization going on around it. One of my favourite things to do during the Christmas season, is to attend the annual Carol Service here at the Old English Church. As we often have snow then and the Church is lit only by oil lamps, the friendly volunteers serve warm Mince Pies and hot Apple Cider, which makes this Christmas Carol Service beautiful and enhances the feel of a real old-fashioned Canadian Christmas ! If you are interested in the Paranormal then you might like to check this out - some people claim to have experienced spooky goings-on at the Church and grave yard - check it out and decide for yourself! If you are seeking a "Family Friendly" Church in St Thomas, check out St John's Church on Flora Street, just north of Talbot Street, the Rev. Janet Lynall and her congregation will show you a warm welcome! If you are thinking of emigrating to Ontario and are considering this area in which to relocate, or if you are already living in Canada and you are planning to move to St Thomas Ontario, check out our Real Estate section for some general information. Currently the house prices in the St Thomas Ontario area are stable and are fairly low, compared to other towns and cities in the area. Check out some of the properties for sale in this area, on the MLS (Multiple Listing Service) listings and see what you get for your money in this area! The principal claim-to-fame of St Thomas Ontario is that it was where the famous elephant, Jumbo, met his death in 1885, when he was hit and killed by a train. The plaque which commemorates this event is just north of the railway tracks on Woodworth Avenue - turn north at the Kentucky Fried Chicken restaurant on Talbot Street and and you will find the plaque on your left hand side. There is a life-size statue of Jumbo at the entrance of town on the west end of the main street, Talbot Street, which was erected in 1985 on the 100th anniversary of Jumbo's death. The statue is visible from the road as you enter town from the west and is opposite the Elgin County Military Museum. Until recently this was also the home of the Elgin County Pioneer Museum and was originally the home of Dr. Elijah Duncombe. The Museum with its Pioneer artifacts, including many of the doctors’ medical instruments and equipment, are on display in the Central Elgin Municipal Building opposite the Psychiatric Hospital on Highway 4, on the south side of St Thomas. The nickname of St Thomas Ontario is the "Railway Capital of Canada" and in the late 19th and early 20th centuries several railways ran through the city and a total of 26 different railway companies have, at various times, passed through here. In the 1950's and 1960's the railroads started to decline and the automotive industry began it's rise in this community. The Elgin County Railway Museum is housed in the historic Michigan Central Railroad Shop and is accessed from Wellington Street. Two large railroad shows are held at the Museum each year, Railway Nostalgia Weekend is the first weekend in May and Railway Heritage Weekend is held on the fourth weekend in August. Each year the public support for the Museum grows, and the annual shows draw visitors in their thousands to St Thomas Ontario, from across Canada, the USA and Europe. The Elgin County Railway Museum is open Monday, Wednesday and Saturday mornings all year round. From May to September they are also open every Sunday from 10am until 4pm. St Thomas now has its own Brewery! 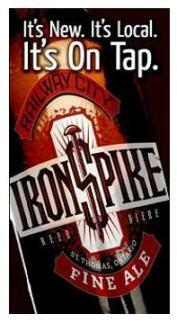 The Railway City Brewing Company is open at 130 Edward Street, St Thomas. There's a selection of Ales such as "The Witty Traveller", "Honey Elixir", "Black Coal Stout", "Iron Spike" and the unique "Dead Elephant Ale" each locally brewed, all natural, craft brewed in small batches, using only the finest ingredients with no artificial adjuncts or preservatives. Check out their selection of beer & ales. They also have a custom kitchen on site, that enables them to custom brew small sample batches which will allow them to create new unique brands as they continue to grow. You can stop by and visit - they would love to show you around and explain the brewing process - there are even samples available with every tour! Stop in and see how they brew locally handcrafted beer, here in St Thomas! St Thomas Ontario has two lovely municipal parks, Pinafore Park on Elm Street is in the south west section of town. This park has a lovely lake, walking trails, a band-shell where summer concerts are held, and a new "Splash Pad" in the childrens' playground area. One of my family's favourite pastimes in the summer is to take our lawn-chairs to Pinafore Park on Sunday afternoons and enjoy the free "Music in the Park" concerts, which are held each weekend during July and August, so if you are in the area, bring a picnic and your sun-screen and join us for an afternoon of entertainment. Waterworks Park is on the north side of St Thomas at the far west end of South Edgeware Road. There are 100 acres of lawns, gardens, woodland and river. The Kettle Creek runs through the park and it is a popular fishing spot - just make sure you have a Fishing License before you start! 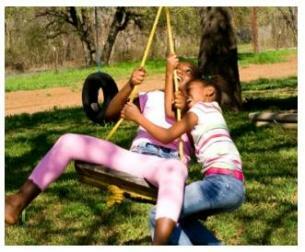 There is a large area of open space near the playground where children can safely play and there is also an area of small islands, connected by bridges that meander over a water-lily filled stream. This park is a popular spot for newly-weds to have their formal wedding pictures taken and there are also two Pavilions which may be rented for Family Reunions and events. At the edge of the reservoir, there is a memorial forest being planted. There are at present 50 - 100 trees of various species, which have been planted in memory of a deceased loved one - what a wonderful way to remember the life of a friend or family member. In Spring you will see families of Canadian Geese swimming in the lake, don’t let your small children get too close to them as the geese are very protective of their little goslings. If amateur Theatre is your "thing", check out the Elgin Theatre Guild who perform in the Princess Avenue Playhouse, 40 Princess Avenue, which is not far from the downtown area. Princess Ave is south of Talbot Street and is not difficult to find. When you are driving around this area in the winter time, you may notice that there are Snowmobile Trails crossing our roads and highways. These trails are maintained in and around St Thomas Ontario, by the volunteers of the Elgin Trail Riders Snowmobile Club, which grooms 100 km of snowmobile trails in this area. A valid Drivers License and a Trail Permit are required to ride on the Ontario Federation of Snowmobile Club's (OFSC) Trails. Young people between the ages of 12 and 16 are required to take a Training Course, which is available locally, before they are allowed to ride the trails. 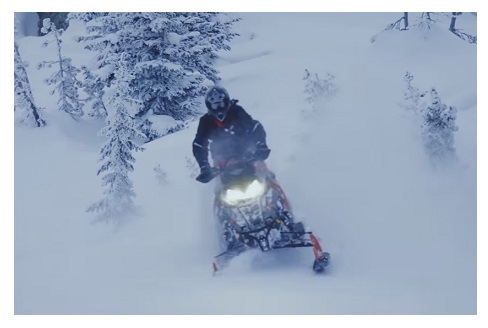 Information on upcoming Snowmobile Driver Training Courses, including locations and contact information, can be found at the OFSC - Course Dates & Locations information website. If you are a Snowmobile enthusiast, check out our Snowmobiling pages here! you'll love the view from a plane. The Flight Centre is at the St Thomas Ontario Municipal Airport on highway 3, half-way between St Thomas and Aylmer and sight-seeing flights for up to three people start at $105. St Thomas Ontario has some interesting art in the downtown area, Wall Murals that depict the history of the city of St Thomas, especially the city's links to agriculture and the Railroads. 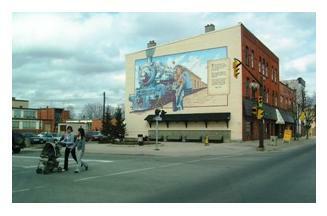 These murals were sponsored by the City of St Thomas Ontario, the 2000 Millennium Committee, the Downtown Development Board, and On Track. My favourite is "When I’m Big” which was painted by Dan and Peter Sawatzky and shows two small boys looking in wonder at a passing locomotive. It is at the intersection of Talbot Street and Flora Street. If you are looking for a great place for a meal or a light snack, then there are a couple of restaurants that we love! Coffee Culture is at 831 Talbot Street and is an amazing place - their coffee and sandwiches are delicious, BUT make sure you leave room for dessert! Their selection of gateaux is mouth-watering and the cakes are so rich and yummy that we can never resist - who would want to! Check out the weather in St Thomas Ontario - yes, we do get cold winters, but check out those summer temps ..... wow it gets hot here! Check out this season's theatrical performances by the Elgin Theatre Guild, there is sure to be something fun going on at the Princess Avenue Playhouse! 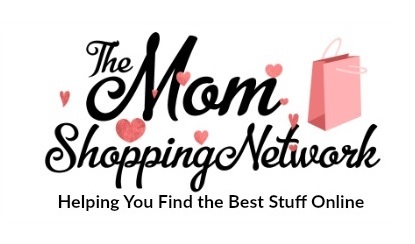 Located east of St Thomas Ontario on highway 3, across from the St Thomas Municipal Airport, the store is on your left as you head towards Aylmer.